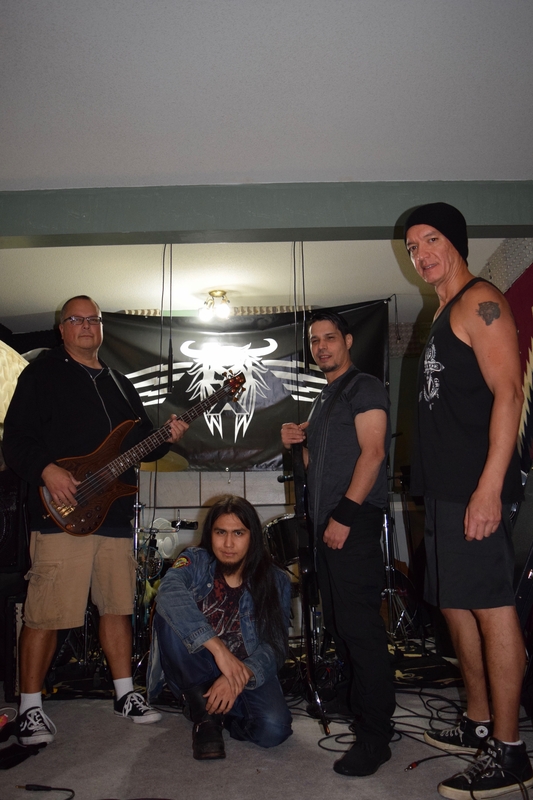 On an Autumn night at their jam space in Maple Ridge, Indigenous hard rock band Tribal X are playing a cover of the German metal band Accept’s popular song Balls to the Wall. It’s not the easiest track to sing, but vocalist Andrew Campbell – who is Homalco and Musqueam — is belting out the song’s high-pitched howls with ease. “We’re a band of many styles,” Campbell says. Tribal X consists of four members, with River Kane of Big Stone Cree Nation on Guitar, Paul Harrison of Nisga’a on bass and Leon Wesley of Fisher River Cree Nation on drums. The band was originally called Tribal Rage, but switched to Tribal X because it was “less angry,” Kane explained. The ‘X’ is also steeped in meaning, including representing the Medicine Wheel and four directions. “We had a conversation one time about where we fit in,” Wesley said. From left: Paul Harrison, Andrew Campbell, River Kane and Leon Wesley. 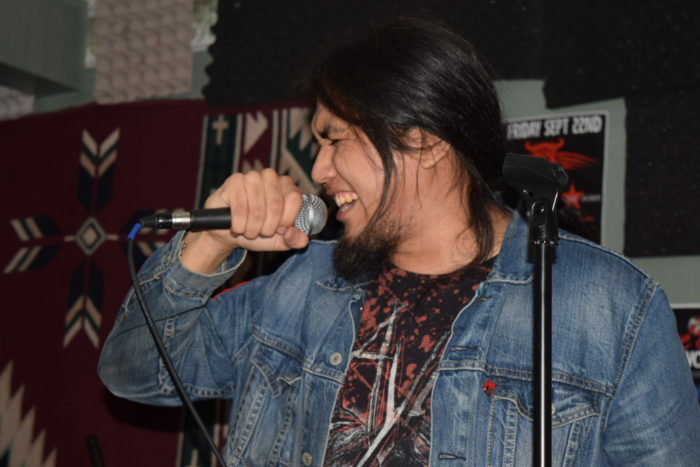 The band’s original music is influenced by rock bands like AC/DC, Megadeth, Guns N’ Roses and Black Sabbath, but with songs that talk about the realities of being Indigenous. One song, Academia, is a ballad about residential school. Another, Take, talks about the environmental destruction that comes with resource extraction. “Being able to headbang to the issues is important to us,” Wesley laughed. Tribal X formed in 2015 with Wesley and Kane, who are both Indigenous enhancement workers in the Surrey School District. Kane added that though some of their music talks about intense issues, it’s not in-your-face political, and they still want it to be music people can have fun listening to. “What’s interesting about our music is that it’s disguised, in a way. Almost anyone can relate to it,” Kane added. Their duality makes Tribal X able to play everywhere from Indigenous events such as Talking Stick Festival, to classic Vancouver music venues like Pat’s Pub. The band regularly plays shows across the Lower Mainland and hopes to soon tour Western Canada. The band is also working on an EP that’s set to be released in 2019. “We got accepted for a Canadian Council of Music grant, so we have that,” Wesley said. More information about Tribal X including tour dates and information about their upcoming release can be found at www.facebook.com/TribalXMusic.